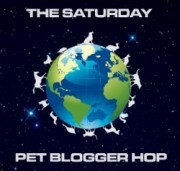 Saturday Pet Blogger Hop And Timmy's Weekly Disaster Contest! This is our 700th post!!! We'll meet at the Old Elm Tree, chase some squirrels, and then visit everyones' blogs together-how does that sound? And if Timmy is too busy getting himself into his usual disasters to join us, so be it! We're chasing squirrels and blog hopping! A hearty congrats to our Week 57 winner! And don't forget to enter our "Timmy's Weekly Disaster Contest" next week. Here's the initial write-up of the contest to get you started: boccibeefs.blogspot.com/2011/03/announcing-fun-contest.html. P.S. Don't forget to check back tomorow for our eighth week of "Living with Your Pet" tips gathered with love...for the pet lover in all of us. Hoppin' by to say "hello" and see how y'all are doing. Congrats on 700! WOW! Congratulations on your 700th Post! Obtaining a good and expert legal counsel can help you in decision making and can help your company to be in the competition.